So far, with the help of Ugo Crisponi, I’ve been able to offer my readers a possible view of the Stealth Black Hawk involved in the Osama Bin Laden’s raid. However, although I’ve already underlined since my very first post on this topic that there MUST be much more flying assets involved in the complex mission, I think that it could be interesting to draw a possible “picture” of all the aircraft taking part in Operation Neptune’s Spear. This is obviously just one of the ways to piece facts together but it seems to me the more reasonable for a series of things I’ll briefly discuss. First of all let me stress a concept: the Stealth Black Hawk that crashed in the OBL (Osama Bin Laden) compund was not so stealth to be completely invisible. Indeed, to answer again to my famous Twitter friend @PrimorisEra (for an interesting comment on her intriguing “saga”, read here): I agree, no aircraft can achieve complete stealthiness; choppers in particular, with all those rotating parts, are not so easy to hide to radars. Not being completely radar-evading, the choppers (I believe more than 2) were covered by some EW platforms, probably in the form of either EA-6B Prowlers from USS Enterprise or EA-18G Growlers from USS Carl Vinson, both currently in the North Arabian Sea. I’m pretty sure that a US supercarrier in the area played an important role in the entire operation: being involved in Operation Enduring Freedom, it launches on a daily basis its assets belonging to the Carrier Air Wing along the Transit Corridors to Afghanistan. Any activity along the TCs across Pakistan would appear absolutely normal to the Pakistani controllers. 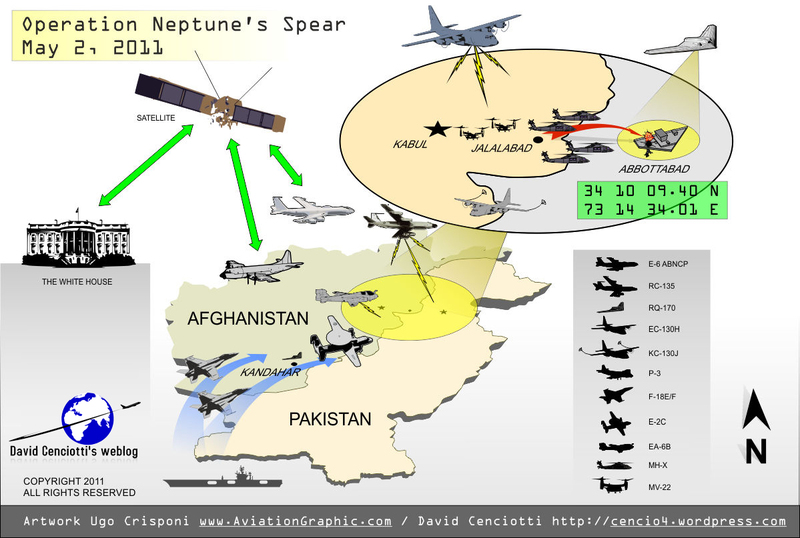 For the same reason, it is possible that at least an E-2C Hawkleye and a pair of Super Hornets (F-18E or F) launched by the Big-E were used to provide respectively AEW (Airborne Early Warning – air space management) for the entire operation and DCA (Defensive Counter Air): the mini-AWACS could detect any Pakistan AF fighter being scrambled against the formation of helicopters bringing the US Navy Seals to Abbottabad and the “Rhinos” could be directed against the interceptors to provide cover. Where did the helo depart from? Most probably, Jalalabad. The RQ-170 was seen at Kandahar so I assume it operated out of KAF. How many helicopters involved? More than 2, maybe 4 (plus spares?). How many were (let’s say) “stealth”? All of them. If one or two were stealth, both both those approaching Osama Bin Laden’s compound had to be stealth to ensure “stealthiness” of the formation. Which models? I think there are two possibilities: both were Silent/Stealth/Upgraded/Modified/etc. Black Hawks; or 2 were Stealth Black Hawks and Stealth Chinooks. I don’t believe that “normal” MH-47s were involved as some media speculated (for the above mentioned considerations on the stealthiness of the formation) so, I’m almost sure only new Black Hawks were used. However, since we now know that a Black Helicopter exists, I can’t completely rule out the possibility that, along with a Stealth Black Hawk, somewhere there’s also some sort of modified Stealth Chinook flying. Supporting aircraft? 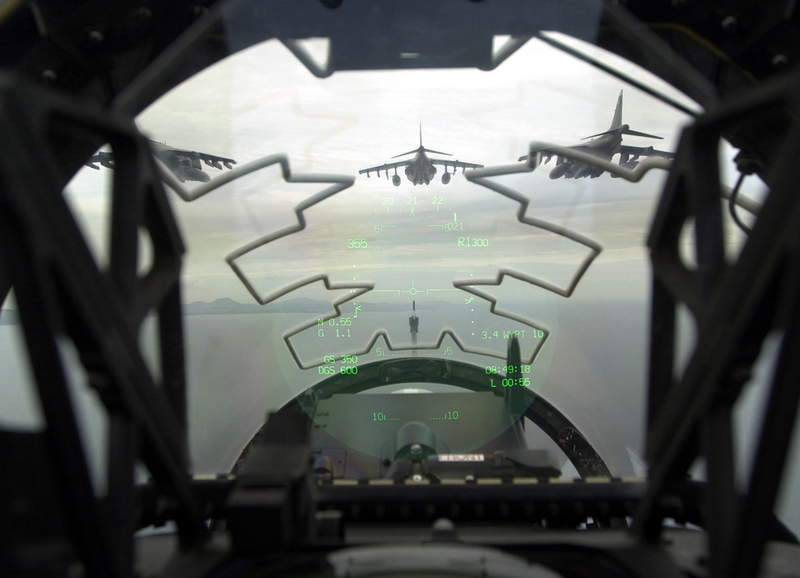 Many: KC-130Js provided air-to-air refueling to the assets (notice: all probe equipped), an RQ-170 provided detailed FMV of the target area, an RC-135 Rivet Joint performed SIGINT activity, an EC-130H provided EW jamming communication, Early Warning/Acquisition radar and navigation systems along with the above mentioned Prowlers/Growlers; an E-2 provided AEW, while an E-6 ABNCP acted as an airborne command post (Airborne Command, Control and Communications Platform). MV-22s (or C-2?) were waiting for the command to return to Jalalabad to carry OBL body on board Carl Vinson. MH-47s and other “back up” aircraft could be present as well, both on the ground and CAPping “on call”. BTW all aircraft orbited within the Afghan airspace. As said, this is obviously just one of the possible descriptions of the mission. If I’ve missed something or if you think something must be fixed, just let me know. Even if I can’t be sure on the actual number of involved aircraft, I’m more than sure it was an extremely complex operation!